A fun journey towards tasty food! It was all Greek to me. Everyone who sets off with a target in mind has set backs where it doesn’t go to plan, and sometimes you can look forward to that perfect meal and be slightly disappointed. I had high hopes for my Greek pasta, and it tasted great, but there was a key ingredient I added that I couldn’t taste, namey the block of Feta that was added. Considering this is one of the strongest flavoured cheeses, it took a supreme effort on my part to nullify it’s flavour, but I managed it. The inspiration behind Greek Pasta was a lovely meal I had on a recent holiday in Zante, and like a lot of foodie’s when this happens you are naturally going to want to recreate it at home. 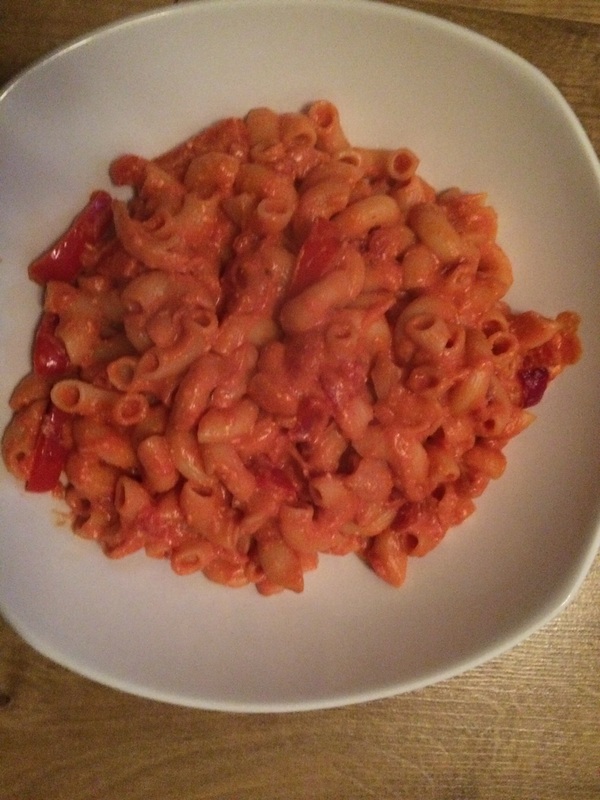 It DID have the most amazing tomato and pepper flavour, so for anyone Veggies and Vegans included, omit the feta, fry the onion, chopped pepper, carton of chopped tomatoes and half tube of tomato purée and mix through with the cooked pasta and it should do nicely for a week night. If it were down to me, bung in a few capers and chopped olives as well. In the revised format without feta, it also transforms into quite a healthy recipe, which is a bonus. My wife is a coeliac, so we actually use Gluten free pasta as well. I will have another go in the future, possibly without the chopped tomatoes and just use a quarter of a tube of tomato purée. Anyone who reads several of my recipes will come to learn tomato purée is an ingredient I like to use. Strong flavour and dirt cheap. If at first you don’t succeed, eat up as it was probably still a 7 out of 10.